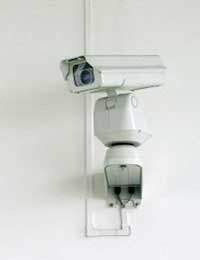 The use of audio and video surveillance devices is pervasive in the UK, despite laws intended to regulate their purpose and discourage indiscriminate use. Merely selling or possessing video or audio surveillance equipment is entirely legal. If you use the devices for the wrong reasons, however, you can quickly run afoul of the law. In a very broad sense, when using electronic monitoring devices, you’re obligated to balance your need to ensure the safety of persons with their right to privacy. Interpretation and application of the laws reflect the public’s ambivalence about the collection and use of their personal information. On one hand, overt surveillance devices have the potential to deter crime and give people a greater sense of security. On the other hand, cameras and bugs can be perceived as intrusive and unwarranted. The Information Commissioner’s Office website offers detailed information intended to help people comply with the law when using surveillance schemes. Privacy International, an organisation that advocates for the importance of privacy and data protection, asserts that personal data are frequently misused. The group believe there is particular danger when personal information is electronically transmitted between countries with differing privacy laws. Installing electronic monitoring devices is becoming a do-it-yourself project for some. Maintaining the equipment is much more difficult than installing it. An easy-to-use instruction manual should be your foremost concern when shopping for the equipment. If you need special skills to retrieve, view, and copy digital recordings or data files, then it’s unlikely you’ll get your money’s worth from the scheme. Users need to determine whether tampering is of concern in situations were more than one person has access to a surveillance device. Everyone who makes use of the equipment and its stored data must comply with the law. It can be necessary to consult a solicitor for guidance. If a surveillance camera is meant to capture images of a person for later identification, the quality of the image is vital. Low-resolution images can’t be enlarged to provide clearer details, because the pictures simply become more blurry. Cameras mounted at the wrong angle may only give views of the tops of people’s heads. Taken at too great a distance from the subjects being monitored, audio and video recordings can be completely worthless. Superior video recordings are made with cameras operated remotely that can pan, zoom, and focus on suspicious activity. However, few businesses or individuals can afford such elaborate security measures. Surveillance images without the accompanying audio recordings can omit half of the important evidence. For example, actions of a violent criminal caught on video have much less value without the simultaneous audio recording of the perpetrator’s verbal threats and abusive language. This is especially true when an assailant keeps a weapon hidden but threatens to harm someone with it. An image or an audio recording can document an incident, but recordings often fail to lead directly to the identification of people shown or overheard engaging in antisocial behaviour. It can be frustrating to realise that merely documenting misbehaviour doesn’t always resolve it. The trend toward omnipresent surveillance seems irreversible. Ensure the benefits outweigh the risks by carefully outlining your surveillance procedures and purposes and then notifying the authorities as required before implementation.